I'm currently making a late Edwardian style riding habit using this habit from the V&A as my main reference. I tried making a pattern from my exisitng apron but just couldn't get it to work. Then I bought a modern apron pattern from America but the knee shaping would need so much adjustment to fit me that I can't face it yet. 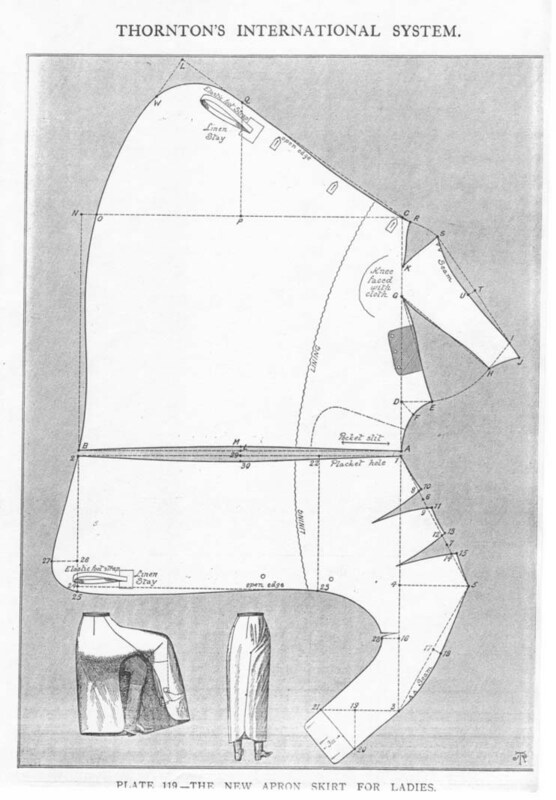 So now I'm using this pattern from a 1912 ladies tailoring guide. It's the first time I've ever drafted something from instructions so it's been a bit of a learning curve. It's obviously not aimed at novices so the drafting instructions are brief and there are no instructions for making it up. I'm hoping that I can work it out from the aprons I've seen and the two diagrams on the pattern. I've currently got one pice fully drawn and the other is waiting to have the curves drawn in over the construction lines. For the jacket I'm using B6608 but without any of the trim or the faux button cuffs. I'll also remove the bottom centre front button and redraw it to have a cutaway front. I'd like to reduce the sleeve fullness and change the back to have double vents but that might be too complicated for me to manage. The (hopefully) wearable toile will be made from a pair of blue cotton curtains I found in a charity shop and then if it works well enough I'll make it again in a more correct heavyweight wool. That looks like a fabulous project. I am very much looking forward to see you progressing with it. First stumble - I can't work out which size to cut from the jacket pattern. I can't find the finished waist size anywhere but the finished bust has 3.5" ease compared to the pattern sizing. I'm between sizes anyway, so that would mean cutting two sizes smaller than I would have expected. Cutting this smaller size would give 2" of ease at the bust which seems fine to me. But then the waist is an inch smaller than my waist going by the printed sizes, without a finished measurement to know how much ease it has. I will wear a corset whenever I wear this habit so I don't need any ease for comfort so as long as it has at least 1.5" of ease built in I'd be ok, and don't see that it would have less than that. Do I go for the smaller size? I can't decide! Toile up both and see which fits? The tissue pattern will probably have finished measurements printed on it...and will also probably have way too much ease. For wearing over a corset you don't normally allow ease at all, but fit directly to your corseted measurements, or it will just flop about and look baggy in any case. The double vents shouldn't be tricky as there are already seams where you want them, just add in extra seam allowance below the waist to play with. Oh wow! The very best of luck with it! Something I always wanted to have a go at, but only ever managed a waistcoat! As an ex-side saddle rider I had to have mine made to measure by a company in Tunbridge Wells - as I am only 5' tall and very, very short in the torso! It was beautiful. I did really hanker after one of the older ones (1920's) , but they would not have fitted! I'm secretly envious as I am unable to ride at the moment due to medication turning me into a haemophiliac, and I have to watch other people ride my horse! Vintage machine lover, Singer 201K, 99K, 401G, 27K,Singer 780 Touch and Sew, Juki TL-98P, Bernina 1260 and Brother V5. I must stop buying second hand machines.......in fact I must stop buying machines full stop! Some of the clothes they wore early last century were so stylish weren't they? Those jackets are fabulous, it makes me half wish I could ride. @Francesca Ideally I would, but I don't have enough time, energy or fabric haha! @DementedFairy I love Truly Victorian patterns (my 1880s habit is one of theirs) and I'd much rather have used one than the costumey one I ended up with but nothing was the shape I was looking for. 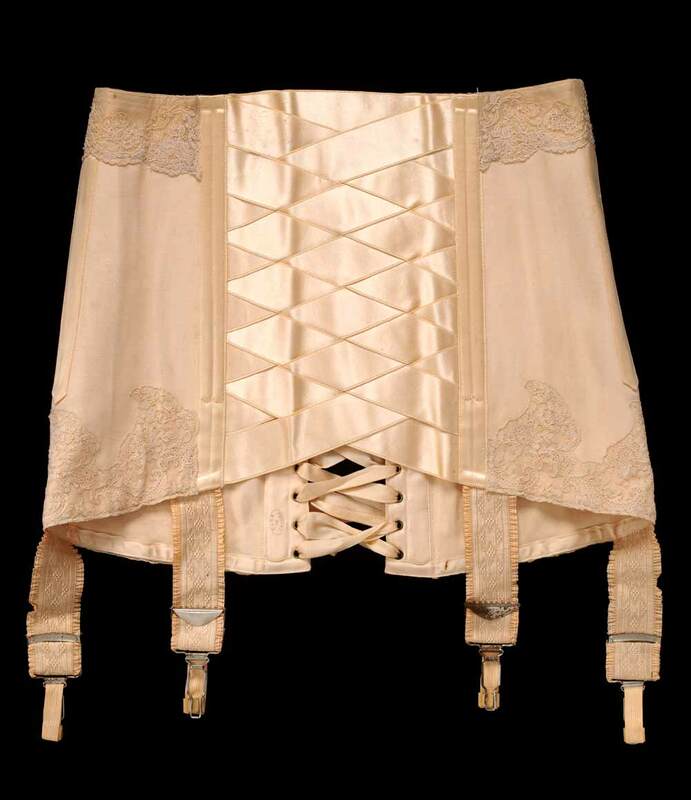 I need to research what kind of corsets women in the 1910s rode in as the habits don't have the severe fitted over a corset look the ones from a few decades earlier had. The finished measurements on the tissue are only there for the bust not the waist, that's the issue I'm having. @KayK I'm a new side saddle convert but I love it! I don't have my own horse but I'm lucky to be able to get to a riding school that's brilliant for side saddle every month or so. I hope you can get back to riding soon! I think I'm going to go for the smaller size, if it's too snug anywhere there's plenty of seam allowance to let out. The finished measurements on the tissue are only there for the bust not the waist, that's the issue I'm having. Is the waistline marked on the pattern? Or is it easy to work out where it should be and draw it on? If so, it shouldn’t be too difficult to measure the pieces along the line and subtract the seam allowances. That should give you the finished waist measurement. IIRC the waist on this was a little boxy because it is made for and from modern measurements. But, you will ALWAYS have to tailor anything when you use stays. 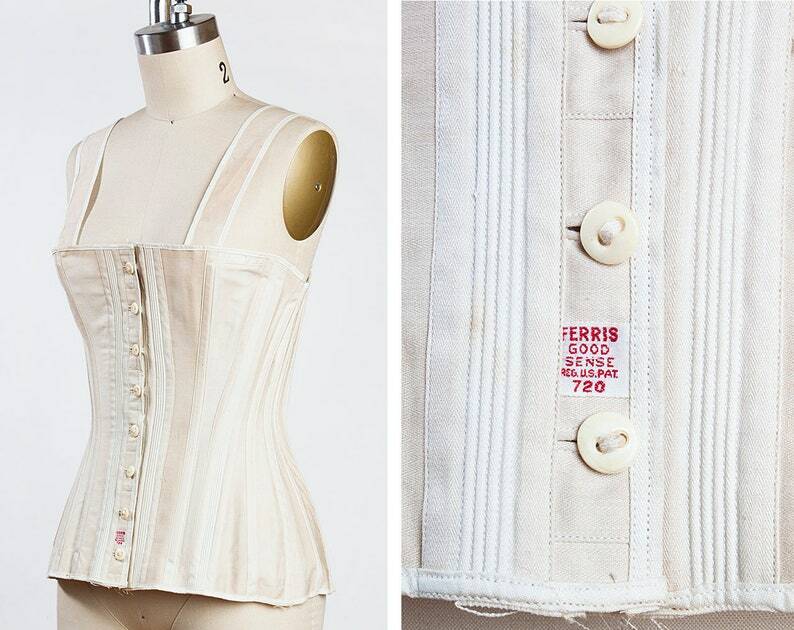 Even antique patterns that allow for the waist to be much smaller, still often added some ease or used an average measurement to the pattern that did not always correlate to the stays' measurement. An example of this is a Harper's Bazar one I have. It is an equivalent to a size 12, B 34 W 22 (moden is B34, W 24.5), none of which add the ease to the pattern (Bazar was about half in inch if I remember right, compared to the 5 or 6" of modern patterns). I made a replica for a museum and the mannequin was not "standard" even to the era...the mannequin was set to a lady's measurement who owned the particular exhibit, and her waist was 19". Another I made had the waist being 2" larger then the antique pattern I used...both were with stays. Also why so many of the earlier fashions had darts and princess lines featured heavily: it is far easier to alter an antique pattern or garment then a modern one. Long story to say you certainly need to make a mock up, try it on with the stays and then pinch the waist out to what it needs to be. Following this project with interest! I'm a rider myself and have wanted a side saddle for years. Sadly, being in Australia I will have to get a custom made one, and I was saving for one when my older horse had to be retired. My young horse is still very green, but hoping to have a side saddle made for him in the next couple of years! I have a half-finished modern habit that I really should get around to finishing. I've always wanted to make a vintage one, but assumed I'd never have anywhere to wear it (only the odd show offers side saddle classes, even fewer offer costume classes). At some point I'll just do it anyway for the joy of it! I have, however, made a few vintage inspired costumes before. You'll really need to be prepared to toile the jacket multiple times I've found! Especially when you're wanting to fit something over a corset. Will this pattern help you for the skirt? Maybe a corset like this one? Looks like a Liberty Bodice! Can I ask a stupid question, after having read the V&A article with interest. How can the outfit have been made in 1912 when John Redfern, the maker, died in 1895 ?? ?